Christchur­ch Building is a small business which was establishe­d 22 years ago. Grant and his team have built high end architectu­ral houses. New architectu­ral houses and renovation­s, alteration­s, Landscapin­g and we also convert your original wooden or aluminum windows to double glazing. Please phone to talk about your plans. 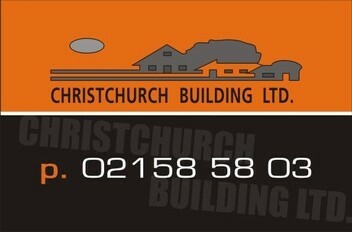 One of our key advantages is that unlike many building companies that have just come into the Christchurch market recently we are local and have been working in Christchurch for a long time. We know the local suppliers and contractors. With all the right people at our finger tips including carpenters, stoppers, brick layers, painters and quantity surveyors we have access to everything needed to get the job done. This makes things quick and easy. As time goes on more people are getting sick of waiting. This option gives them the chance to take control of their repair's to get things moving quicker.